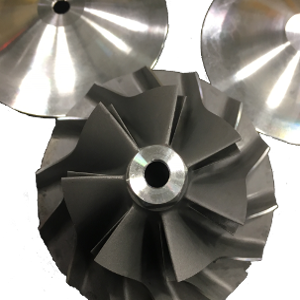 Ross Casting and Innovation has the ability to supply fully machine or partially machined cast wheels. Our state of the art machine facility is capable of meeting your machine requirements allowing a turnkey product shipped directly to your assembly process. RCI’s latest machining cell was developed for high volume commercial diesel sized compressor wheels and passenger car compressor wheels. Florescent Penetrant Inspection of all machined compressor wheels.